As winter approaches, the time to begin thinking about winterizing your water vehicle comes along with it. It’s important to winterize any vehicle before a long storage period, particularly when it comes to boats and other watercrafts that will be out of the water over the offseason. 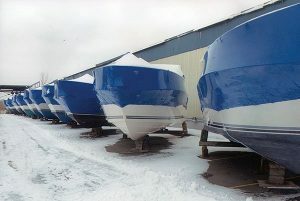 As long as you see cold temperatures, chances are you will deem it necessary to winterize your boat until spring is back to stay. This period will last longer in some parts of the country than others, but the procedure for winterizing stays the same, whether you’re looking at two months or six months. If you do not properly winterize your watercraft over the winter months, you risk seeing expensive repairs when you see your boat or jet ski again. In jet skis, engine repairs often exceed the value of the craft itself so proper maintenance will save you time and money. The Science: As the weather grows colder, the ethanol in your boat will break apart from the gasoline and form a compound which is more corrosive than ethanol. This new compound eats away at aluminum and can deteriorate the anodizing off of the sides of the tank. The same process occurs with the gasoline inside of the engine, impacting the internal metal, plastic, and rubber parts of your motor’s fuel system negatively. This corrosion can cause very costly damage to your favorite watercraft, so the best protection is ensuring that the process never begins. How to Winterize a Watercraft? 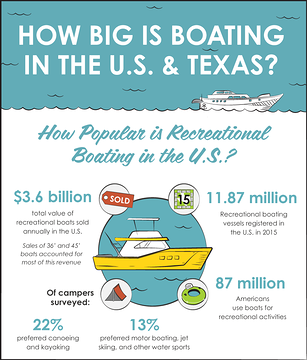 The best way to make sure your boat is prepped and stored correctly is to take it to a local dry-storage marina, but if you are more of the do-it-yourself type or do not have access to dry-storage, you could save yourself some money with the following tips. This is not a fully comprehensive list and these are not the only possible actions you can take to protect your watercraft during freezing temperatures. Before you stow jet ski or boat away for winter, it is important to ensure it is well cleaned and dried to keep contaminants from damaging the vehicle. After removing any electronics and valuables, you need to wash, dry and wax the outside (using the appropriate marine cleaners), and wash every possible area on the inside, making sure to vacuum after done to be sure all water is evacuated to prevent eventual corrosion. Leaving water in the engine can cause it to freeze and cause significant damage to the engine, so it is important to make sure the watercraft is dry. Fill your gas tank to almost full, then add a fuel stabilizer to prevent buildup of varnish in filters, fuel lines and carburetors, and to keep the fuel from being contaminated over time. Untreated gas can eat away at your gas tank and hoses, necessitating replacement of these parts and may even destroy your engine, so it important to ensure that this step is done correctly. After running the engine of your watercraft briefly, change the oil by sucking out the old oil with a suction hose, replacing it with the appropriate grade of new oil. It’s best to do this after running the engine, as changing the oil while it’s warm can help remove the impurities with the oil. Be sure to run fogging oil through the carburetors and spark plug cylinders to help to keep the metal parts in your jet ski or boat from corroding. While there are some boaters that have successfully left their battery in their watercraft during the winter months, the wiser option is to remove the battery and store it in a warmer area of a shed or basement. Be sure not to store a battery in a living space, as the fumes can be hazardous. Leaving the battery in the watercraft can cause it to drain of its power during the off-season, warranting costly replacement when boating season returns. Frequent freezing ruins a battery by breaking internal connections, and even potentially cracking the battery case which creates obvious issues. Storing your watercraft incorrectly will nullify the winterization work you have done to this point, so you should make a plan about how and where your boat or jet ski will be resting for winter. Climate-controlled storage areas are the best place for your boat to be over the winter, but the cost or availability in your area may not allow for this option. If your watercraft will be in a place where the temperatures will fall to freezing and lower, antifreeze should be added to prevent water from entering, freezing and expanding within your watercraft’s system. Regardless of where your watercraft will be stowed away, you should ensure that it is covered with a cover, protecting the vehicle from the weather as well as any animals that may try to take shelter under it. Once in uncovering our jet ski, we were surprised to see a cat jump out, so make sure the cover is a tight-fitting one.